Welcome to the website of Salisbury-based semi-professional vocal ensemble Sarum Voices. 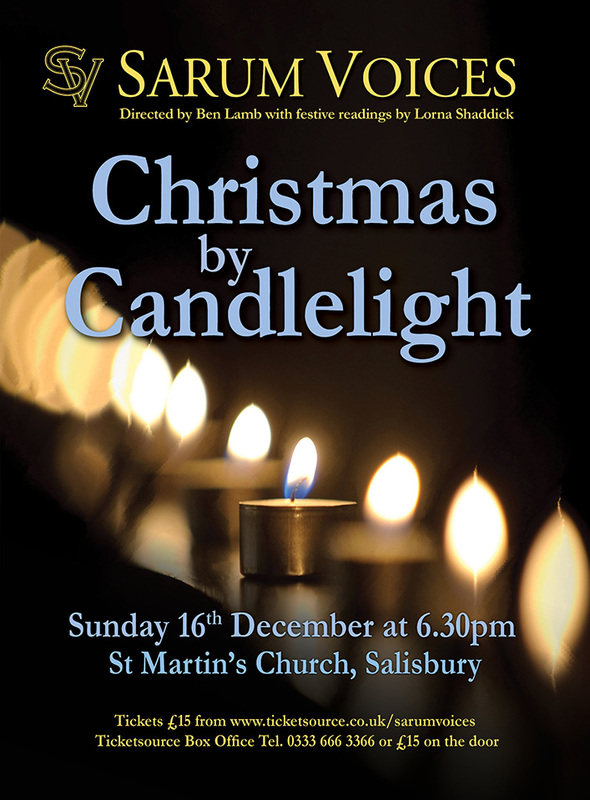 You can learn all about Sarum Voices and our conductor Ben Lamb. Why not check out our concert diary to see if we're performing in your area soon? Our extensive collection of recordings is bound to contain something to suit every taste. Looking for someone to sing at an upcoming special occasion? The choir are seasoned performers at weddings all over the country. The choir's latest Christmas CD of new compositions and arrangements of traditional favourites is available to order directly from this site, or can be purchased at our upcoming concert on the 10th of December.